Looking for Flower Decoration Ideas for home? Here we are with some basic ideas and suitable flower arrangements for every room of home. Read our article to know more about How to Decorate with Flowers and lots more. Flowers bring freshness and beauty in your life, nice floral arrangements can bring remarkable changes in your home décor. Every room or corner of your home can be decorated with flowers. There are many ways to put flowers in your home; here we have tried to identify some of them. The bedroom is a place where you want to relax after a hard day's work so bedroom interior decoration must be done carefully. It can be beautified with various accessories and flower can be one of them. The best place to put flowers in bedroom is bedside table as it keeps the flowers near to you and you can feel their freshness when you wake up in the morning. If you do not want to use the whole bunch of flowers than choose a branch of suitable flowers and put them in small or large vase. 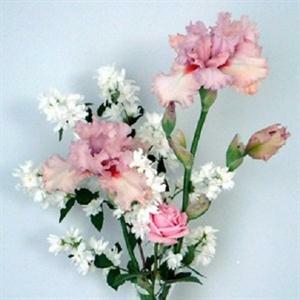 You can use lavender, chamomile, roses, lilies, carnation and orchids to decorate your bedroom. On special occasions like wedding anniversary, party, valentine you can put the flowers on headboard of your bed or tuck them in your curtains to make your bedroom more special and romantic. A nice flower arrangement not only makes your living space special and welcoming, but will also add colors to a normal boring dull room. Fresh flowers can give calm and soothing effect to your living room décor and bring great happiness into your home for sure. 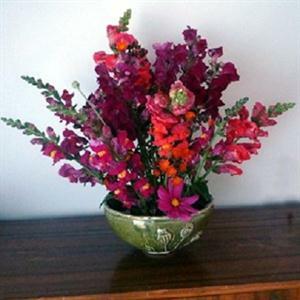 Put the bunch of identical flowers or dissimilar ones with a range of facing all directions in a beautiful vase and put this vase on the center table or coffee table of your living room. You can also put the petals of your favorite flower in a big transparent bowl full of water along with some floating candles to add a fresh look in your living room. You can use any type of flower for your living room especially lilies, gardenias, gerbera daisies and orchids looks very beautiful in living room. Kitchen is the busiest place of your home so it should be tidy and refreshing. Most of the people think that there is no space or use to decorate the kitchen with flowers but there are many ways to decorate your kitchen with flowers. 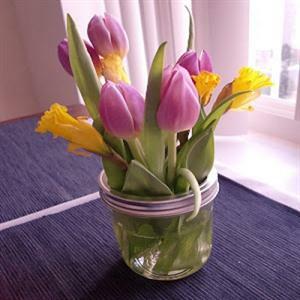 You can use real as well as artificial flowers to decorate your kitchen. 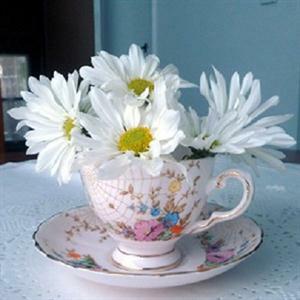 You can use muffin tins, compote dish or a porcelain teacup, Ice cream dishes, oval enamelware mold, Painted Tin Can Vases, sea shell, Kitchen canisters and many other things from the kitchen as vases to put flowers. You can put the flowers vases near the window and on cupboard in the kitchen or any heighted place in the kitchen as these are hard to reach. You can use tulips, chartreuse verbena, Single Stem Flowers, purple delphiniums, lavender, tiny succulents, Irises and lots more flower in your kitchen. Flowers in bathroom will give a nice and refreshing feeling always. Flower arrangements on counters, shelves and window sills of the bathroom can give a wonderful touch to your bedroom. An arrangement of artificial grasses and flowers adds that perfect touch to a downstairs loo or bathroom which can often lack a natural light source. Use orchids, gerbera daisy, begonias or any fragrant flower to refresh your bathroom. You can decorate every corner of your home like entrance gate, lobby area, stair area and lots more with flower, just use your imagination and get a beautiful home decor with flower.